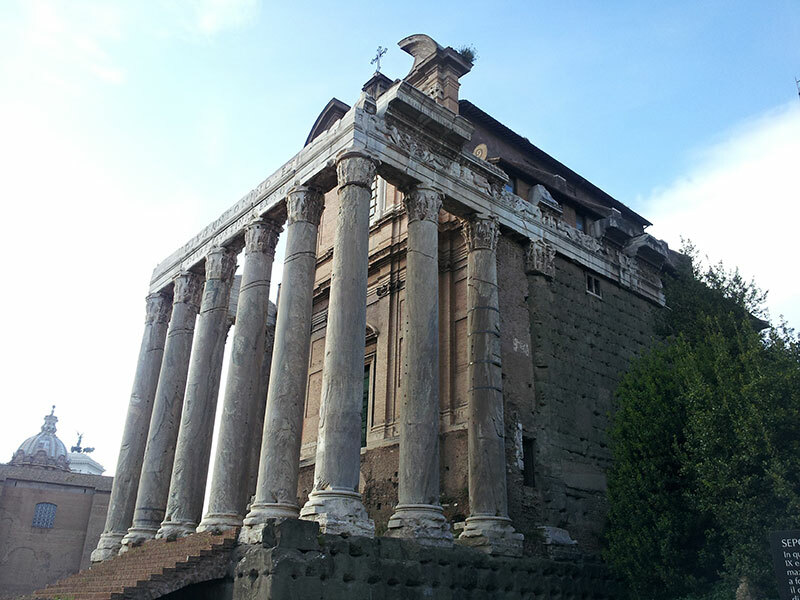 Dating back to seventh century BC, Roman Forum developed over the years into a centre of socio-economic activities. After the fall of Roman Empire, the Forum declined. Eventually it ended up as a pasture land. 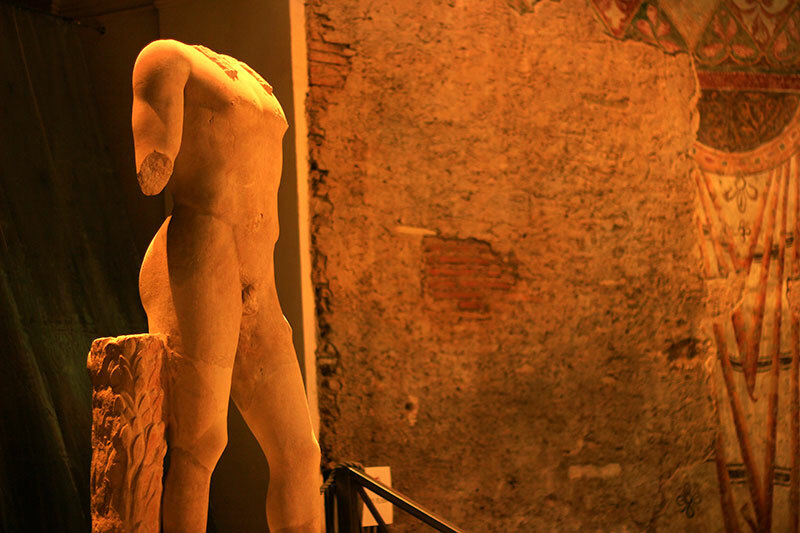 Archaeological excavations revealed the advanced age of Rome. 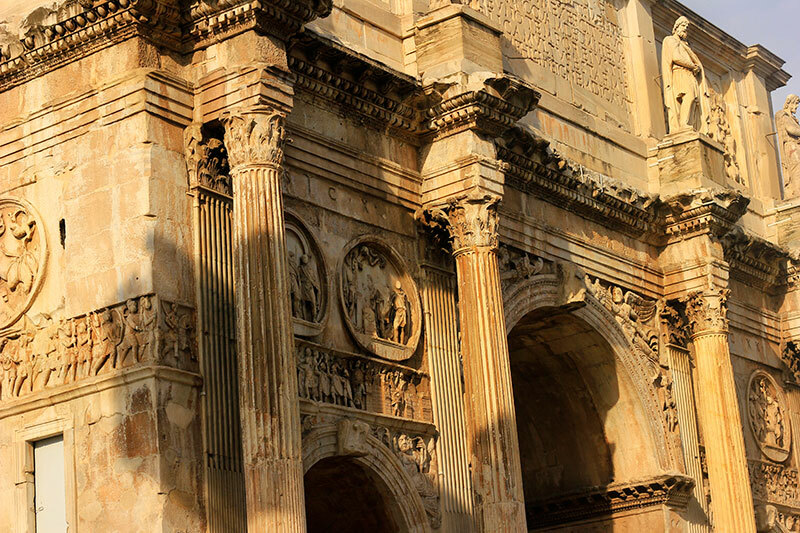 This is the largest and best conserved of all triumphal arches in Rome. The Senate and Roman people built it in 315 to honour Emperor Constantine on his victory in the battle at Saxa Rubra in October, 312. The Roman temple is mostly undamaged. Emperor Antoninus Pius constructed it during his reign and dedicated it to his wife Faustina. In the Middle Ages it was transformed into a christian church dedicated to Saint Lawrence (Chiesa di San Lorenzo in Miranda). Centuries later it was handed over to the Guild of Roman. 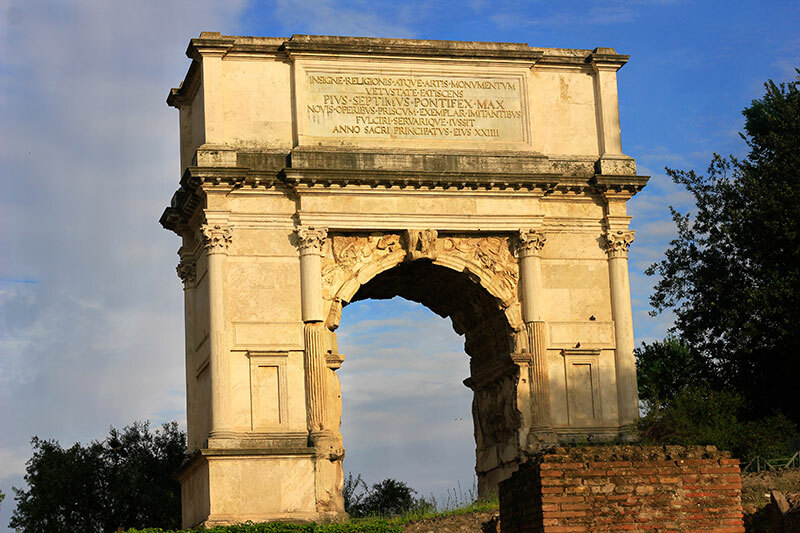 Emperor Domitian erected this first-century victory arch in honour of his brother Titus. The arch is at the entrance to the Forum. It has carvings celebrating the Roman conquest of Jerusalem. On the basis of the description on a coin, archaeologists have identified that Emperor Maxentius erected the temple in 307 AD in honour of his son. The temple has an age-old bronze door and the lock still works. Temple of Saturn, Arch of Septimius Severus and the Temple of Castor and Pollux are some of the other focus points. Visitors can buy tickets online here or at the ticket office near the entrance. 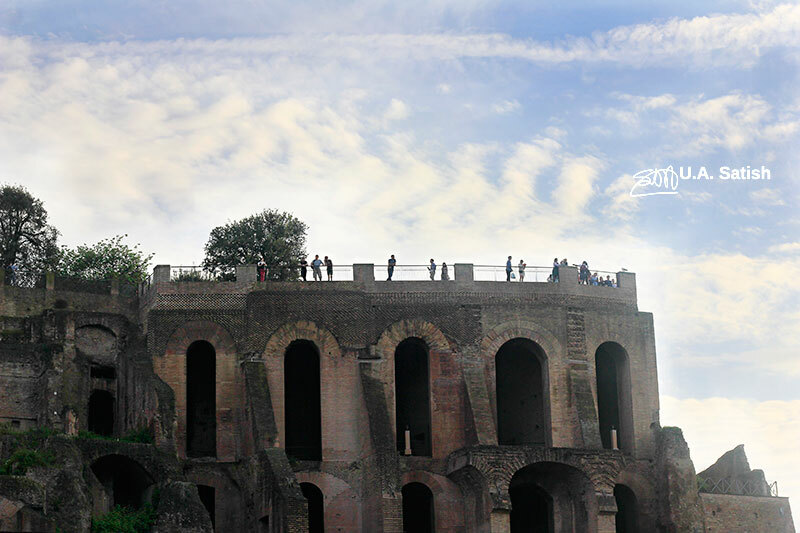 Your ticket allows a single entry to the Colosseum and Palatine Hill as well as Roman Forum, . The ticket is valid for two consecutive days which is very helpful. I hope you have liked the post. If you have questions, please use the Contact Form to get in touch with me. Post comments in the box below.